The Old Podcasting Geezer here 🙂 See Quick Hits 1 for that story. mp3 for Audio and mp4 for Video. Other formats have limitations. Ogg/vorbis – Mostly a linux / open source thing. Bottom line, Use MP3. I suggest either 64kbps Mono or 128kbps Stereo encoding @ 44.1khz. At 128 Stereo, you get about 1mb a minute of audio. At 64 mono, you get about 2min per mb. M4V This is Apple’s version of mp4. It’s almost identical to mp4, other than it adds extra “stuff” for iPads, iPhones, AppleTV and iTunes. Ogg Theora. This is the Linux / Open Source video format. WebM (VP8) This is Google’s supported HTML5 video format. Hasn’t really gotten too much traction but if you are doing video, it’s not a bad idea to make a version of your show in this format for supported browsers. Bottom Line, Use mp4. (with maybe a webm/vp8 version for the player on your website) Encode using h264 and AAC audio. .MOV and mpeg files will not work. I don’t know how many times I get someone that asks me a question that requires me to look at their feed and when I look at their blubrry.com listing, they didn’t include that in the settings. It causes a few back and forth emails that could be avoided. Your blubrry.com listing won’t be populated unless you give us your feed address. It’s kind of pointless to be listed and have nothing there. People that use “smartcast” (Which is a lot) won’t be able to subscribe to your show in that feature. The Service settings let our system know if you are going to be using the blubrry.com provided website and feed (Yes, you can do that but it’s not recommended) or if you are on your own WordPress Blog using powerpress. These settings customize the menus you see at Blubrry.com in the manage account area and tell us in support how you are setup. You will get much quicker service if you do this. *** Do not use the 3rd option unless you REALLY know what you are doing. It has to do with the “Meta WebLog API” which *almost* nobody uses. 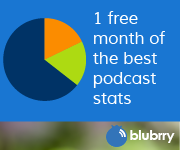 These are just simple info about your podcast. The RSS Feed URL and you iTunes listing URL. (basic stuff) and the Category you want your blubrry listing to be in and the Parental rating. There is more things here if you are going to be using Blubrry’s feed (again, not recommended) where you can put your artwork and a few other settings. 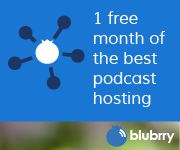 Even if you don’t use blubrry.com for anything, it’s a good idea to have your show listed in the blubrry directory (Explore Page).